Musical worship can play an important role in the weekly meetings that are so vital to a Cru movement on a local campus. Our goal with this weekend conference was to equip and motivate students called to serve in this significant area. I coached the band from Eastern Kentucky U. in communication. 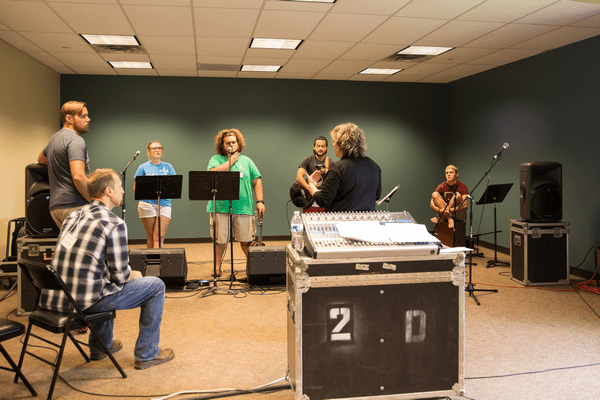 We taught a variety of topics to help them function well as a worship team—everything from a biblical view of worship to godly conflict resolution to practical tips for organizing bands and rehearsals. Every student received personalized communication coaching, and the four bands each received music coaching on two or three songs. To cap off the conference, each of the four bands led the rest of the students in worship. Joy and excitement filled the air as they led one another in praise! RockYourMeeting.org is now live! Ten training videos are now on the site with more coming soon. Five of the videos are on worship leading, three are on how to emcee, and two teach communication principles. 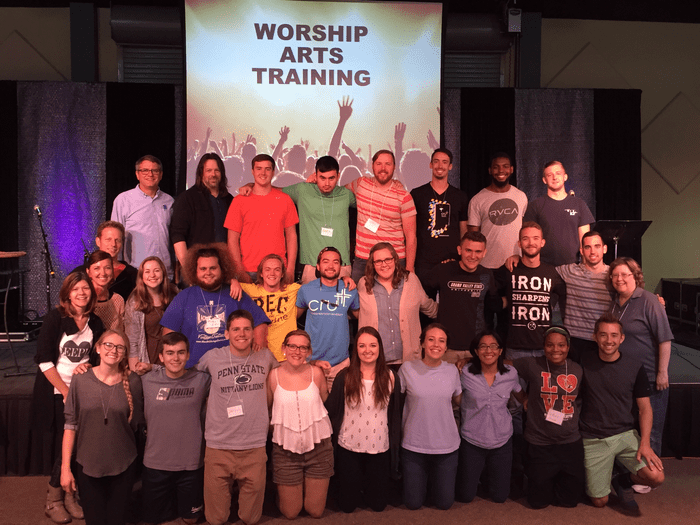 for the students who attended the Worship Arts Weekend as they seek to apply what they learned back at their campuses. that God will use our Rock Your Meeting video series to help Cru staff members equip their students to lead worship and other aspects of weekly meetings.